Masculine styling, sophisticated patterns, textural details, and subtle pops of color provide a clean yet modern look to the new EVATIK Fall 2017 releases. Inspired by the latest eyewear trends, the new collection offers round and angular shapes with refined, contemporary design elements that cleverly combine uncompromised engineering with an understated sense of luxury to appeal to today’s modern man. Constructed from Mazzucchelli gradient acetate, EVATIK E-9152 features a retro eye shape inspired by 1970s styling. The solid color along the brow blends harmoniously with a smoky pattern, creating textural depth; while the decorative rivets on the end piece adds detail to the clean design. The custom engraved OBE UNO flex hinge provides for a discreet logo. E-9152 is available in dashing hues of Brown, Blue and Black. EVATIK E-9153 is clean and minimalistic thanks to a thin stainless steel profile and beveled edged brow, providing a timeless and light result. 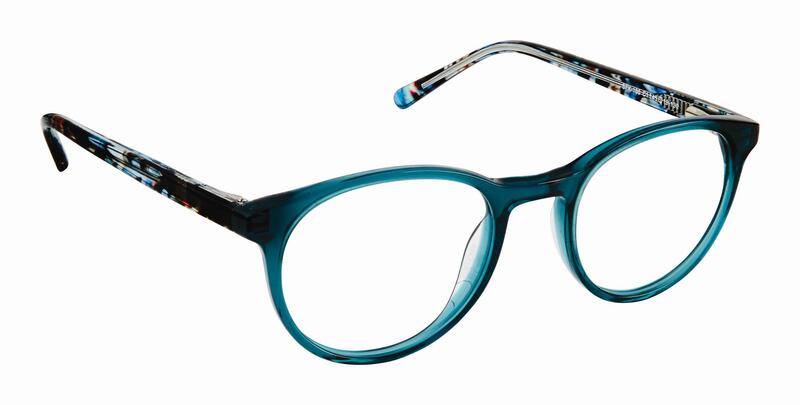 The intricate, textural temple finish is created by acid etching, which gives a luxurious feel to the frame. Carefully selected pops of color on the inside front and temples offer a contemporary and sporty aesthetic. E-9153 is available in sporty color combinations of Brown Orange, Navy Blue and Black Red. For those men looking to make a statement, EVATIK E-9154 fits the bill. Inspired by the fashion trend of contrasting patterns, a diamond etched pattern across the brow and temples seamlessly flow into a linear pattern for an updated and eye-catching, textured look. Both patterns are clean and precise thanks to state of the art laser cutting. Modern and masculine, E-9154 features a rectangular eye shape, 5-barrel hinges for a secure and lasting fit, and is offered in classic hues of Black Graphite, Brown Black and Navy Graphite. EVATIK E-9155 plays with acetate contrasts. The solid color along the brow and temple is coupled with a translucent bottom eye rim providing a bold and modern twist to the crystal trend seen all over the runways this season. 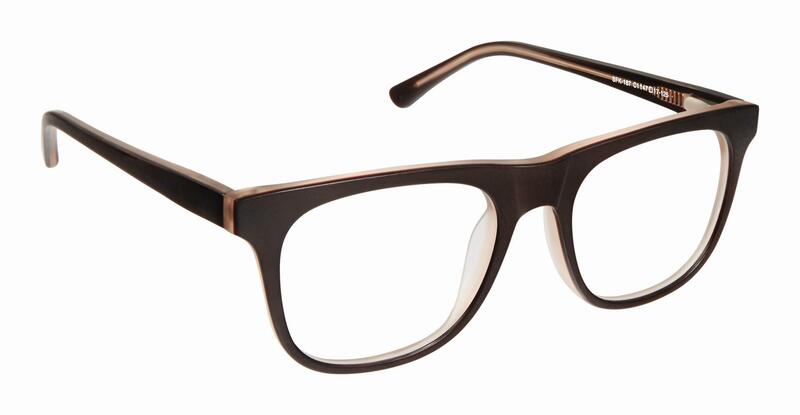 The square shape and the dropped bridge create a downtown geek-chic look that will suit a variety of face shapes. The custom engraved OBE UNO flex hinge provides for a discreet logo. Available colors include Tort Crystal, Navy Crystal and Black Crystal. EVATIK E-9156 capitalizes on the continued popularity of round frames as well as the new-found demand for metals. Combining Japanese mono-block titanium front with beta titanium temples, E-9156 is strong, corrosion-resistant, hypoallergenic and extremely lightweight. A laser cut split temple adds a subtle touch to an otherwise clean design while a custom titanium end cap on the temple tips is engraved with an “E”, providing a discreet logo. This modern take on a retro look is available in Black, Grey and Brown Taupe. Designed around a custom hinge, EVATIK E-9166 and E-9167 exude sleek sophistication. Fronts are constructed from a single block of stainless steel, eliminating the need for soldering and providing a stronger, more aesthetically pleasing design. 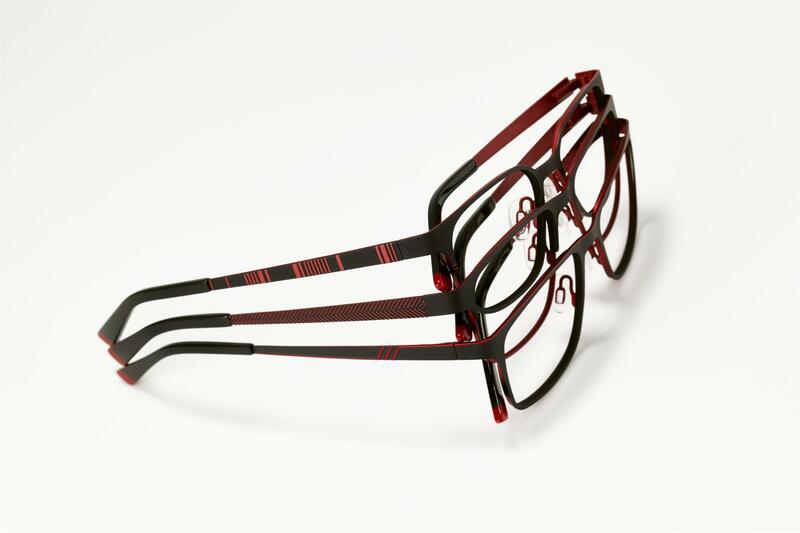 A thin, pinstripe design is laser etched into the temples and the raised temple décor helps to highlight the custom hinge. Two-tone coloring ensures a high fashion look. E-9166 offers a modern twist on the timeless oversized aviator, an iconic design reminiscent of the 70’s that is making a big impact for the Fall/Winter season. The square, contoured shape has a step-down along the double brow bar, which is achieved through a precise laser etching technique, creating an interesting design element. Available colors include Black Red, Navy Black and Brown Black. E-9167 has a slightly more sporty appeal due to its rectangular eye shape, which provides an effortlessly masculine look. 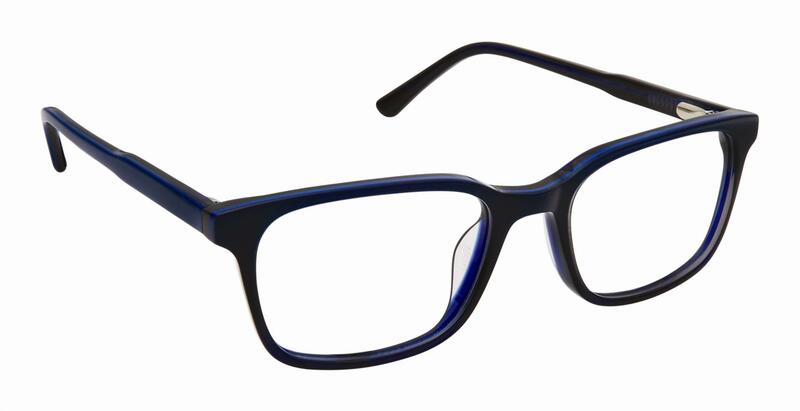 Navy Gun, Black Red and Grey Blue are the color options for this frame. EVATIK is produced by WestGroupe; for more information please visit www.EVATIK.com or www.westgroupe.com. Safilens made a big comeback at the BCLA Clinical Conference & Exhibition which took place June 9th to 11th in Liverpool. The Italian company attended the respected international contact lens trade fair to promote its patented afocal design for presbyopia and the exclusive preview launch of the most recent Safilens innovation: the daily toric fusion 1day astigma lens. fusion 1day astigma expands the family of daily contact lenses that incorporate the advantages of the company’s groundbreaking fusiontechnology™ system – the synergistic interaction between Hyaluronic Acid and TSP (Tamarind Seed Polysaccharide) that normalizes and stabilizes the physiological relationship between the tear film and the ocular surface, providing the wearer with natural, lasting eye comfort. Sleekform stabilization is based on the pure prism, ensuring minimal thicknesses and an extremely uniform surface. In addition to limiting the mechanical strain associated with wearing contact lenses, this characteristic significantly reduces the issues related to differences in distribution of oxygen flow, typical of the designs currently available. fusion 1day astigma is available with more than 800 parameters (3 cylinders and 8 axes). Safilens’ participation in BCLA – an exhibition known for its extraordinary scientific program that each year attracts prominent experts and international industry representatives – attests to the company’s ongoing and increasingly core-commitment to the Educational activities tied to its game-changing products. Live fittings were held at the Safilens stand throughout the duration of the show, with applications open to all visitors, who were able to test the performance and benefits of afocal design and participate in an exclusive preview experience of the Sleekform design of fusion 1day astigma. And that’s not all. Also at BCLA, several works developed in conjunction with Italian and foreign universities were presented as posters on the fusion 1day presbyo lenses; and on Sunday June 11th, Giancarlo Montani (Lecturer on Optometry, University of Salento) and Sergio Momini (Head of Professional Services at Safilens) conducted a workshop entitled “Management of computer vision syndrome and digital eye strain with contact lenses”, that also introduced additional assessments and results of the patented afocal design. Area98 announces the debut of its new CCS by Coco Song line, a fresh and versatile proposal designed to seduce a young female target that is attentive to trends but with a simple and romantic soul. While taking some of the elements that have been the success of Coco Song, the new CCS by Coco Song models abandon the oriental inspiration and find their own distinctive characteristics in the absence of decorations and innovative chromatic experimentation. 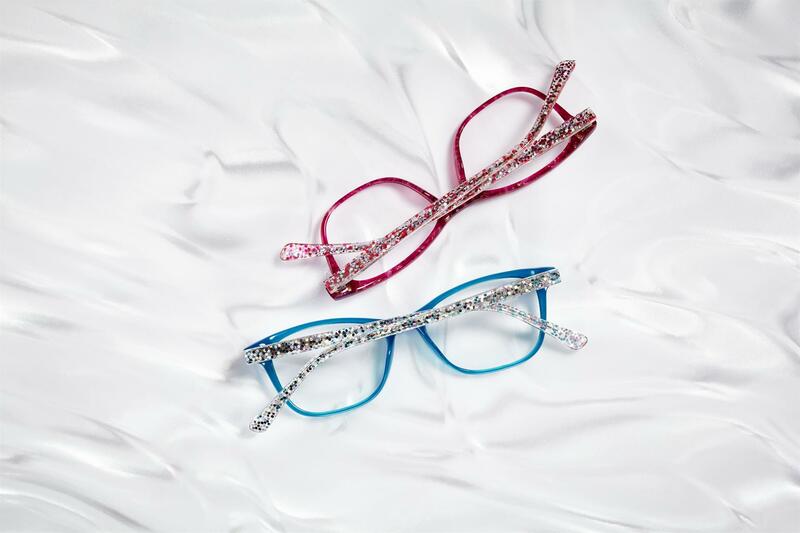 The natural elements that have always distinguished the Coco Song brand- such as silk, dried flowers and feathers – are now laminated into new crystalline and transparent acetates or pearl colours: the result is a line of much lighter frames both with regard to colour and to the fresh and bright style, which is ideal for a young audience looking for an easy-to-wear accessory with a contemporary look without sacrificing style. Brightness and brio define the CCS by Coco Song designs, which are inspired by the natural world of flowers, playing with the vivid and intense tones of pink, red, orange, purple, green, and blue. They come in four models, which are each available in six colours, the new CCS line by Coco Song is distinguished by really a unique dynamic and summery appeal that is at the same time extremely feminine. Modern, clean and refined: EVATIK launches 4 new styles for Spring 2017 that perfectly encapsulate the essence of the popular brand for the fashion savvy man. The latest eyewear and fashion trends are mixed with innovative design elements, top quality materials and contemporary color combinations in order to create the understated yet sophisticated style that is uniquely EVATIK. 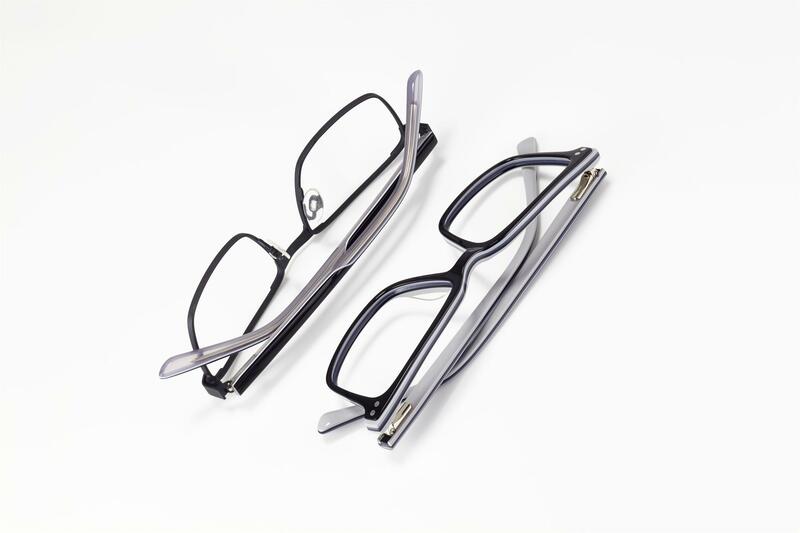 For the professional who likes to stand out with style, model E-9142 has an oversized square shape and dropped bridge that are sure to appeal to those looking to make a fashion statement. This handmade acetate frame is available in three classic and versatile color variations: Matte Black, Demi Amber and Tortoise. A honeycomb laser etched pattern on the end pieces and temples provides model E-9143 with a clean, up‑to-the-minute look. The larger eye size and rectangular eye shape of this stainless steel frame are perfectly balanced for larger face shapes, while the 150mm temple length is designed to accommodate those looking for longer temples. Featuring two-prong OBE UNOFLEX spring hinges for added comfort and durability, E-9143 is a perfect combination of elegance and futuristic design and is available in Khaki Grey, Black Brown and Navy Gun. With a large square shape and longer temples to accommodate larger head sizes, style E-9144 features a laser engraved linear pattern on the end piece and temples that adds texture and a splash of color to the metallic frame. E-9144 is available in dashing hues of Black Red, Brown Blue and Grey Olive. Featuring a vintage round eye shape – the most popular eyewear trend for 2017 – and a mixed material composition, model E-9145 takes us back to the popular 90’s styling. Adjustable nose pads ensure added comfort and stability for wearers with a shallower nose bridge and higher cheek bones. 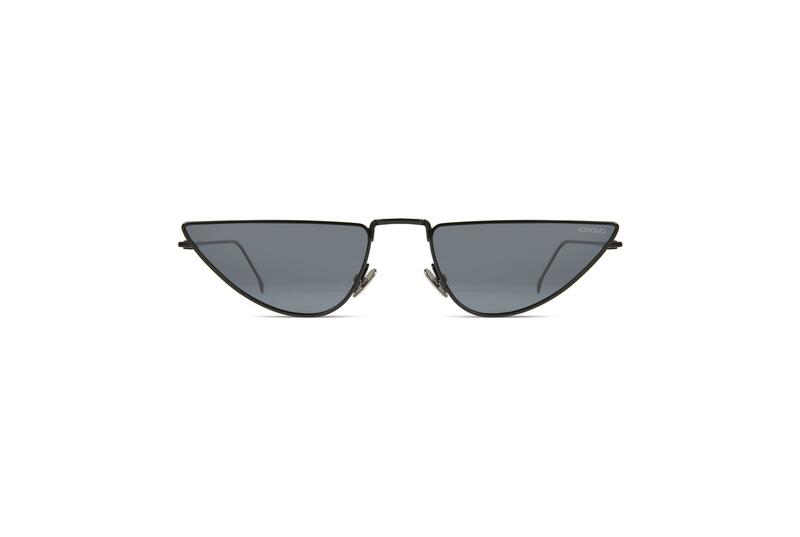 E-9145 is offered in Black, Matte Black Grey and Tortoise Black. 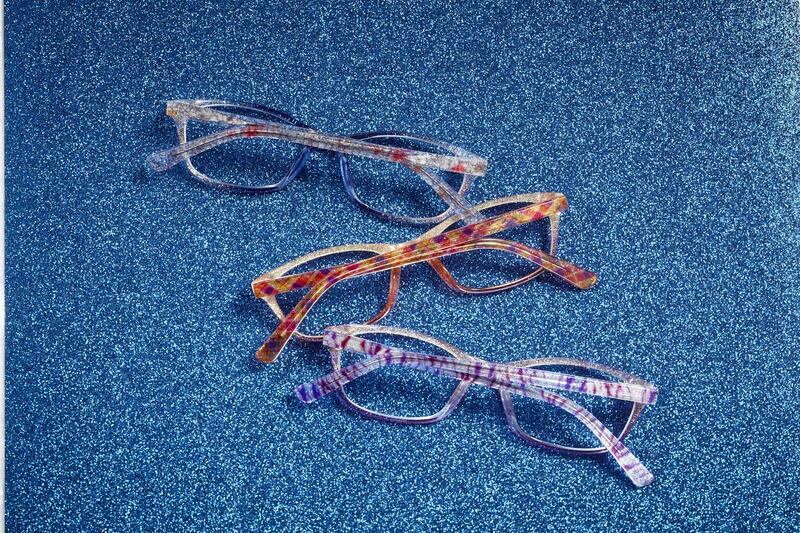 The HOET Couture collection has been expanded with half-rimmed models H3 &F3. In addition to the round form and the various men’s and women’s models with their diverse systems, these new models make the 3D-printed titanium collection more complete than ever. Integrating a universal, adjustable nose clip and replaceable titanium nose pads combines the best of two worlds. H3 & F3 are available in 2 colours and 3 glass sizes. Komono will attend Mido 2017 to introduce their FW17 collections, including the brand new Neutrø Series, a capsule collection of sunglasses designed with stylish sustainability. 3 000 mètres d’altitude, un paysage à couper le souffle et un climat extrême. C’est l’Etna, le plus grand volcan actif d’Europe, à faire de toile de fond à la nouvelle campagne de communication Blackfin, un set naturel, magique et insolite, parfaitement en ligne avec l’ADN de la marque de lunettes qui écrit son histoire loin des stéréotypes classiques de la communication. Un territoire hostile, où on teste et dépasse ses limites. La rugosité du terrain, le climat, l’altitude et les difficultés environnementales incitent à se regarder dedans et à transmettre davantage la valeur et la signification de Blackfin, une signification qui va au-delà d’une monture et qui implique profondément ceux qui la porte et les personnes qui la réalisent. Dans un lieu inaccessible, vu par la plupart comme un obstacle, Blackfin a trouvé la scène idéale pour narrer, avec des images à forte intensité émotionnelle, la vision courageuse d’une entreprise qui, au cours des dernières années, n’a jamais eu peur d’aller au-delà des difficultés et des conventions, se mettant à l’épreuve jour après jour, en sortant des schémas mentaux ordinaires et des sentiers déjà battus. Pour arriver là, où la seule limite est le ciel. SKY’S THE LIMIT est la campagne qui caractérise l’année une de la troisième phase (III – I) de Blackfin : un nouveau niveau dans lequel le produit, la communication et le marketing sont de plus en plus intégrés dans un parcours organique qui scelle le positionnement de la marque sur la scène internationale des lunettes.